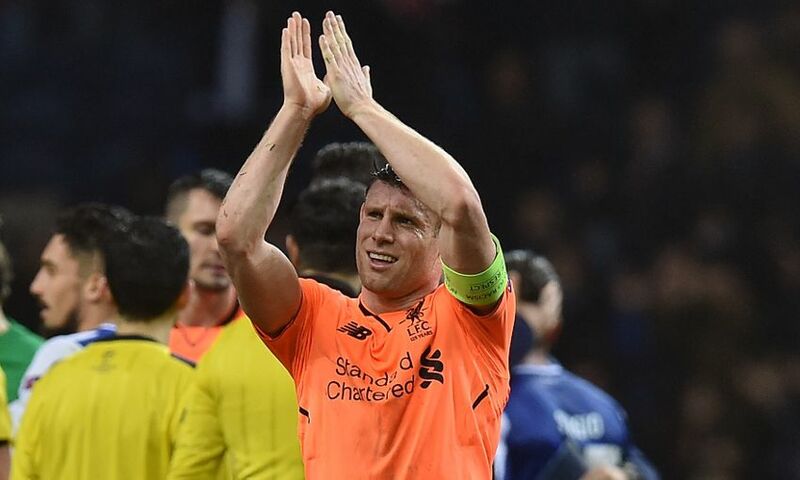 James Milner called on Liverpool to maintain the momentum produced by a sensational 5-0 victory over FC Porto in the Champions League. The Reds secured an enormous lead in the first leg of their last-16 tie, as Sadio Mane’s hat-trick was added to by Mohamed Salah and Roberto Firmino at the Estadio do Dragao. With 10 days before the team’s next outing in the Premier League, Jürgen Klopp now takes his side to Spain for a training camp until Sunday. And rest is not on the agenda, according to Milner. “It’s not a holiday – we’ll be training very hard this week. We’ll recover in the next two days, train hard over the weekend and hopefully keep this momentum going,” the vice-captain told BT Sport. On the result, he reflected: “They’re a very good side and it’s a tough place to come. You heard the crowd right until the end; even with the result the way it was, they sang right to the end. Credit to them. “They are a good team and we knew it would be tough. We wanted to keep a clean sheet, and with the players we’ve got we’ve always got hope of scoring away goals. Mane spectacularly put an indifferent run of form to bed with his treble on the European stage. The Senegal international opened the scoring midway through the first half and clinically stuck away two more after the interval, with his third a standout for its emphatic nature. “He does a great job for the team,” said Milner.